It's statistically proven (probably) that Londoners love a drink. It's also universal knowledge that that same population reserve a lot of hate for the city's public transport system (which, by the way, is supposedly the best in the country). So lucky for us, gin geniuses Hendrick's have combined the two to make for a perfect match and we couldn't be more excited. Attention: (amateur) gin connoisseurs! There's an actual gin bus, serving ice-cold G&Ts, driving around London as you read this and you'll want to snap up a ticket ASAP. 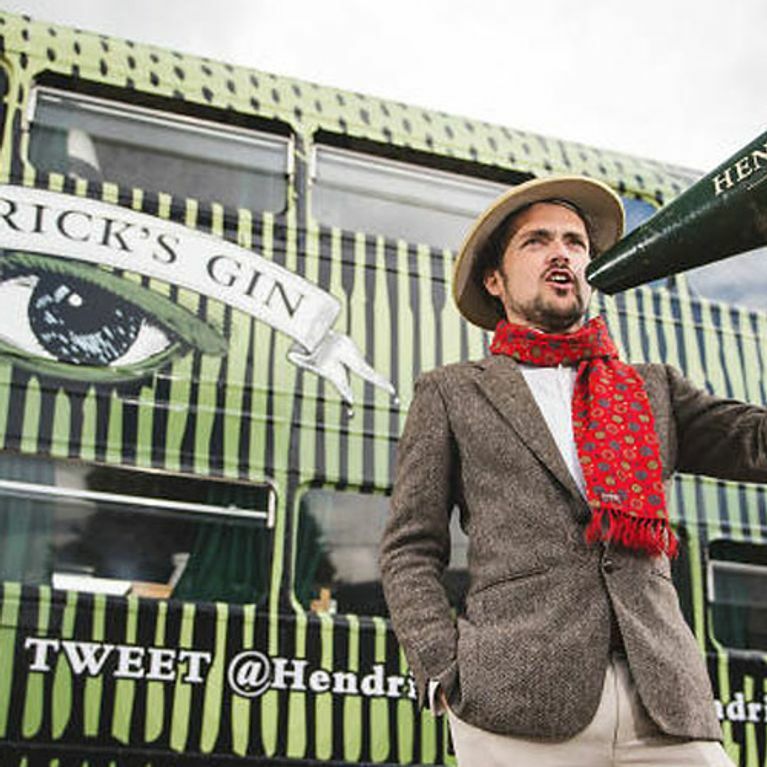 The much-loved Hendrick’s Gin have commissioned the themed double-decker, which is creatively-titled Hendrick’s Extraordinary Roving Bus for Exceptionally Refined Travel (in short: H.E.R.B.E.R.T. ), and two drinks will set you back less than the price of a single bus journey which is reason enough to hop onboard. H.E.R.B.E.T invites you to sample a house cocktail and a classic G&T as well as some cucumber-flavoured macaroons as the premise for the concept is to encourage people to pop a slice of the green salad vegetable in the gin drink of their choice. You'll be treated to all of the above for the measly cost of £2.50 - we challenge you to find a better booze-related bargain in the capital. The bus is rolling its way around the capital from Thursday, July 21 to Friday, July 29 (excluding Monday, July 25) from 4-9pm.